EGARC has a wide range of technology equipment available for all KU faculty, staff and students to checkout. Certain items, however, are not currently available for student checkout due to our limited supply. Please contact us for questions concerning availablity or with technology equipment purchasing requests. EGARC has more than 20 Sony ICD UX200 digital voice recorders that are perfect for recording oral tests in language classes or for conducting interviews at remote locations. Recordings are saved on the device as .mp3 files and can be transferred to a computer using its built-in USB connection. Plugging the device into a computer using the USB connection also recharges its longlasting battery. Designed specifically for PowerPoint presentations, these Logitech Wireless Presenters (R400) allow you to control any computer from up to 50 feet away, freeing you up to stand anywhere you wish in the classroom when making a presentation. The presenters also feature a red laser pointer and a black screen mode for highlighting details and focusing attention. EGARC has three Infinity INUSB-2 Foot Pedals that are available for checkout. Great for transcribing audio content, these foot pedals have three buttons that allow you to play/pause, rewind or fast forward through audio files using your foot, keeping both hands free to type at the keyboard. Express Scribe Transcription Software comes with our pedals on CD but is also available to download. EGARC maintains a variety of adapters and cables for checkout on a first-come, first-serve basis, including dongles to connect Mac laptops to LCD projectors on campus (e.g., Mini DisplayPort to VGA, Mini DVI to DVI, 30-pin to VGA, HDMI to VGA), audio splitters, and miniAV to RCA cables to connect your video camera or iPod to a television. The MXL AC-404 USB-Powered Microphone can be used to improve voice and sound quality when recording audio or participating in a web conference (using Skype, Skype for Business, etc.). With a 180-degree, 25' radius, these plug-and-play microphones are great for group calls and recording multiple people. EGARC has 10 available for checkout..
EGARC has more than 20 plug-and-play Microsoft Lifecam Cinema webcams available for checkout. These HD (720p) webcams can be used for web conferencing (e.g., Zoom, Blue Jeans, etc.) and for a variety of voice-recording activities (e.g., using VoiceThread) or assignments. The are compatible with both Windows and Mac operating systems. EGARC has four Windows-based laptop computers (Asus UX303L Notebook PC) available for short-term instructor checkout. All come equipped with the Microsoft Office 2013 suite (including PowerPoint) and are configured to take advantage of the campus wireless network. Due to limited availability, faculty and staff must contact the Director to inquire about long-term checkouts. EGARC has one ScreenBeam Mini2 WiDi (or Miracast) wireless display adapter. Simply plug this into any display that has an HDMI In port and connect to it using your WiDi-enabled device. You will then be able to mirror your screen to the external display without any cables or additional adapters. Most newer Android and Windows devices support this technology; Apple does not. For more information or a demo of this device, please contact the Assistant Director. 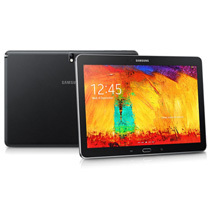 EGARC has three Samsung tablets (Samsung Galaxy Note 10.1 (2014 Edition)) available for short-term instructor checkout. Due to limited availability, faculty and staff must contact the Director to inquire about long-term checkouts. EGARC has a mobile projector that can be used in combination with our laptops or other mobile devices. The ultra portable Dell M210X Mobile Series Projector has VGA, HDMI, S-Video In and audio in/out ports and weighs just 2.6 lbs. It also comes with a remote and a carrying case for convenience when traveling. To facilitate the use of multimedia materials, EGARC has two Canon PowerShot SX510 HS Digital Cameras and a Panasonic Lumix DMC FH20 Digital Camera available for checkout. The 14.1 MP point-and-shoot style digital camera with 8x zoom is perfect your instructional and classroom photography needs. Faculty and staff are also invited to edit digital images in our faculty work area, where we have Windows and Mac workstations with photo-editing software (e.g., Photoshop, Fireworks and InDesign). To facilitate the use of multimedia materials, EGARC has four digital camcorders (1 - Canon FS200, 2 Canon HFR10 1 - Kodak Zi8) available for checkout. All four digital camcorders save to SD cards, and the Center has USB SD card readers for instructors who prefer to tranfer recorded content onto their own machines. However, instructors are invited to edit video in our faculty work area, where we have Mac and Windows workstations with video-editing software (e.g., iMovie, iDVD, FinalCut Pro). To enhance video recordings, EGARC also has 4 Azden WHD-PRO wireless transmitters/receivers (i.e., mics) and adjustable tripods available for checkout. The wireless mics (that clip onto clothing) help ensure crisp, clear audio from a speaker as it drowns out ambient background noises. EGARC staff are also available to help instructors set up our equipment in EGARC facilities to record student presentations or teachers teaching to be submitted for job applications. The Center has 4 Sony CFD-S250 CD Radio Cassette-Corders available for checkout that play CDs, audio cassettes, and AM/FM radio. The devices can also record to audio cassette (from the radio or CD) if that is of any interest. With special permission, these players may be checked out for extended periods. While unavailable for checkout, EGARC does have a Nikon Coolslide Scanner that can be used by our staff to digitize 35mm film slides. Bring in your slide collection today in order to have us transfer them to high-quality digital images (on CD/DVD or flash drive) which can then be used in PowerPoint presentations, print media, webpages, or simply shown in class on standard projectors. In order to ensure access to older materials, EGARC has audio equipment to play reel-to-reel, LP records, audio cassettes, minicassettes, and digital audio tape formats (e.g., MiniDV), as well as video equipment to play VHS and U-matic formats. To better ensure that we can meet your digitizing needs, we strongly advise contacting us before bringing your materials to campus. These items are unavailable for checkout. In addition to legacy audio/video equipment, EGARC can provide access to USB floppy drives, Zip drives, and a variety of other equipment on request. We also have access to media card readers for less commonly used media storage (e.g., SM, xD, CF/MD, MS/Pro/Duo). If we do not have the equipment you need, we will do our best to help you locate other resources on campus. Certain items are available for checkout.